Sunday, February 3, 4:00p.m Local time – Moi International Sports Centre, Nairobi County, Kenya. Kenyan Premier League champions Gor Mahia will not be bound by the shackles of chivalry when they welcome Egyptian side Zamalek Sports Club to the Kasarani this weekend. 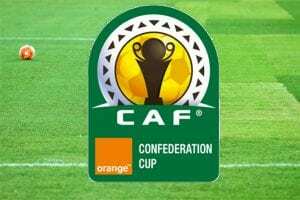 The Sunday afternoon encounter will be the first of six Group D matches to be played by the Kenyans in this year’s edition of the CAF Confederation Cup. K’Ogalo were relegated to the second tier continental competition in December after being knocked out in the First Round of the CAF Champions League by Nigerian Premier League side, Lobi Stars. Mayienga triumphed emphatically during the first leg in Nairobi, winning 3-1, but it was the return leg that made the biggest difference, as a 2-0 defeat meant that the KPL champions bowed out of the competition by virtue of the incalculable away goal rule. Gor prepared for their match against Zamalek with a routine 2-0 win over Sony Sugar in a midweek KPL encounter at the Afraha Stadium in Nakuru County. Rwanda international Jacque Tuyisenge was the man of the moment, as he found the back of the net in each half to ensure Gor bounced back to winning ways. The Sugar Millers, playing as the visiting team on the day, started off the stronger side as they took the fight to the champions; with attempts by Daniel Otieno and Tobias Otieno during the opening exchanges. It was however the hosts who took control of the tie with a goal in the eleventh minute. Winger Sammy Onyango delivered a welcoming cross into the area; one on which Tuyisenge connected with neatly for the opener. Although K’Ogalo had a goal disallowed in the closing moments of the first half after Sammy Onyango’s well executed corner kick was inadvertently guided by a Sony defender into his own net, there was no denying Gor Mahia the second goal scored by Tuyisenge in the 70th minute. Midfielder Boniface Omondi swung an inch perfect cross into the danger zone, an opportunity that Tuyisenge couldn’t pass up, as he gave it plenty with a header to guide Gor Mahia to victory. The win was as timely as it was desperate for the 17-time KPL champions who have been unhinged since the departure of Dylan Kerr before the start of the current campaign. Gor have already lost three of their first nine Premier League matches, which is in stark contrast to the five matches they lost during last season’s title winning campaign under Kerr. The English man has earned several plaudits since taking over the coaching role with South African Premier Soccer League side Black Leopards, with his most recent recognition coming in the form of the January Coach of the Month award which he received earlier this week. Zamalek warmed up for their trip to Nairobi by cruising to a comfortable 4-1 win over Misr El-Makasa in the Egyptian Premier League on Tuesday. Mahmoud Alaa and Ferjani Sassi both scored a brace in the encounter; with the former getting on the score sheet in the first half while the latter found the back of the net after the interval. Paulin Voavy got the consolation for the visitors deep into stoppage time. The thrilling victory helped the White Knights retain their six-point lead over second placed Pyramids, despite having two matches in hand as a result of their participation on the continental front. Gor Mahia may be the kings of East Africa, with the overriding ambition to one day conquer the continent, but Zamalek already are what K’Ogalo aspires to be. Whereas Gor has yet to win any continental title, the White Knights have won the CAF Champions League five times, with their last appearance in the final coming three years ago. Currently under the management of former Tottenham Hotspur manager Christian Gross, the overall nine-time African champions will for certain bring the fight to Gor Mahia. Although on an appalling run of form, and seemingly unlikely to hit the peaks they did last season, Hasan Oktay’s charges will certainly endeavor to give the Green Army something to cheers about on home turf.